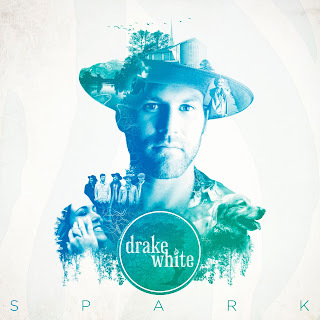 Making his debut on the Top Country Albums chart, Drake White has much to celebrate with the release of his new album SPARK (Dot Records). "...insanely talented and always impresses…" (Sounds Like Nashville), Drake’s 12-track labor of love came from years of hard work and dedication to perfecting his sound. It is available now at digital retailers. Drake shared his passion for music last week with fans while he traveled coast to coast as part of his “Flight to Light the Spark” initiative. Beginning in New York City with a performance at the Housing Works Live From Home: Songwriters' Night as well as a national television performance on ABC’s Good Morning America, the whirlwind trip ended in Joshua Tree, Calif. where he celebrated 100 Years of US National Parks Service with the Opry National Parks Circle Throwdown performance of his Top 25 hit “Livin’ the Dream.” In between, he hosted the “Flight to Light the Spark,” a 17-hour trip which stopped in each time zone across the U.S. to highlight this charitable initiative. 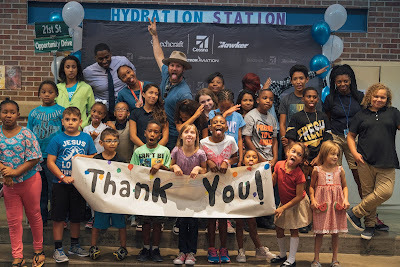 Those impacted included Friends of Firefighters (New York, N.Y.); Musicians on Call (Denver, Colo.); North Texas Foodbank in partnership with the Ford Community Fund (Dallas, Texas); The Boys & Girls Club (Wichita, Kan.) and the Western Surfing Association in partnership with Salt Life (Los Angeles). From meeting with brave firefighters, to conducting science experiments with students and visiting our country’s honored war veterans, Drake continues to highlight the spirit of giving. For more information on Drake’s ongoing “Giving the Dream” efforts, visit www.DrakeWhite.com/GivingtheDream. Fans and critics have had a huge response to the release with Rolling Stone Country saying, "…a wide-open, organic sound rooted in traditional country, blues and soul, Drake White's SPARK LP […] stands as one of the year's most intoxicating releases.” Drake will continue to share new music on tour with Zac Brown Band’s BLACK OUT THE SUN TOUR and later this fall with join Dierks Bentley’s SOMEWHERE ON A BEACH TOUR. For more dates and information, visit DrakeWhite.com.